But THE coolest thing was meeting another family who lives on the road! After dinner we piled out of the RV and a man walked up and said are you Margie? I said uh yep! He said my wife follows your blog. 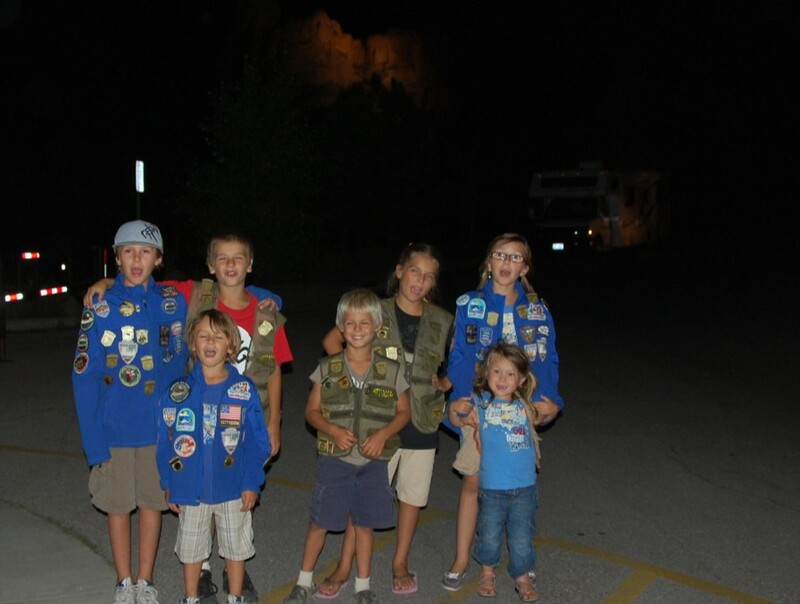 : ) Their 5 kids piled out of their beautiful RV and it turns out they’re the Roadschooling Ryans who I’ve followed too! I had no internet access all day but managed to post once that I was at Mount Rushmore and she saw that. Talk about God timing! We were about giddy to meet another nomadic family! The kids hit it off instantly of course. Their kids are doing the Jr. Ranger programs too, then with talk of army, guns, Hannah Montana, etc, they were all instant best friends. Bridget and Justin were great too. Very nice and we have so much in common. We watched the evening lighting of Mount Rushmore together then ended up camping together for the entire weekend! We parked our rigs so our front porches were connected and had meals together, craft times, jam sessions, haircuts. We got to celebrate Matt’s 8th birthday together too. It was so fun to just hang out and enjoy some downtime while the kids played. 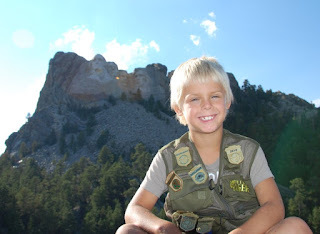 We also went to Devil’s Tower together (where I think Allen was a bad influence and had everyone climbing all over) and the kids all got their Jr. Ranger badges, and we also went to see some waterfalls in Spearfish. We took lots of pictures of their adorable kids (and our rotten ones) and can’t wait to see them again soon! We hope to meet up in California in Sept.
What a neat family they are and I’m so glad they’re getting to travel together too. Their kids are so smart, polite, and helpful and we were just blessed to have such a fun time with all of them! 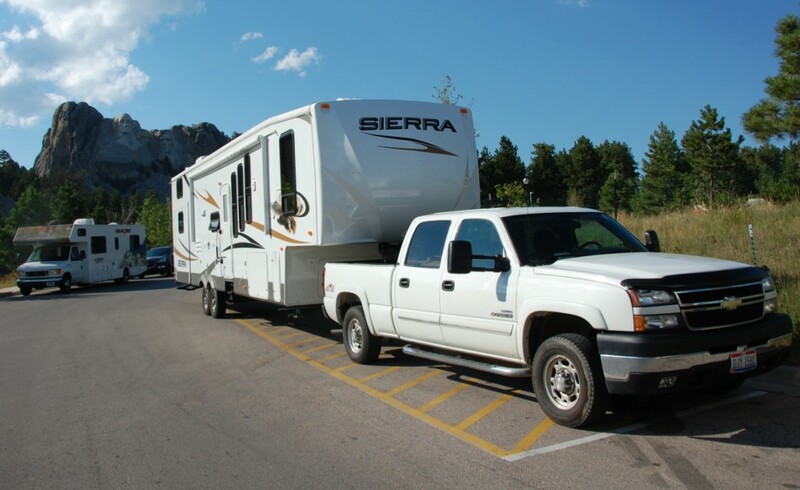 Check out Bridget's blog and see all the fun they're having on the road too!